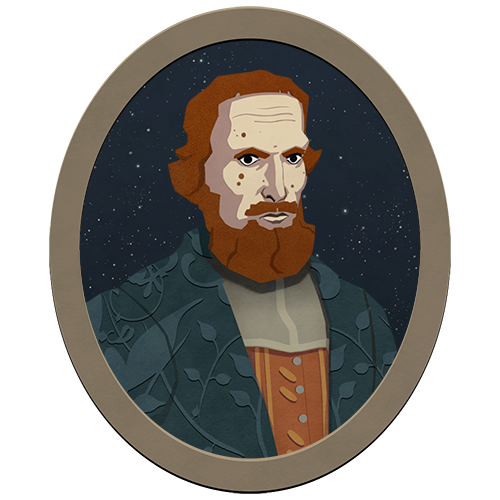 Astrologaster is a story-driven astrological comedy game set in Shakespeare's London. London, 1592. A great plague sweeps through the capital. When doctors flee the city in fear, a hero rises. His name is Simon Forman, “Doctor” of Astrology, Astronomy and Physick. Not only does he have the power to cure the sick, he can find their lost pets and predict their futures! All by reading the movements of the stars. 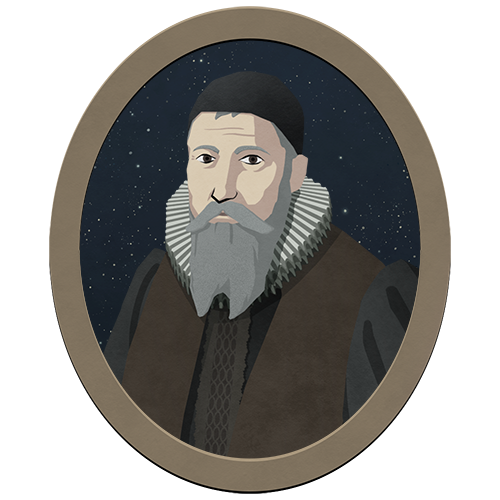 Astrologaster is a story-driven astrological comedy game set in Shakespeare’s London. Based on a true - and truly ridiculous - story. Solve Hilarious Problems: Consult on problems ranging from Elizabethan terror plots and foul diseases, to romantic entanglements and stolen pies! Change Lives: Win your patients’ favour or ruin their lives. Advise 14 characters who return 5-7 times. Patients have their own ongoing stories which often overlap with each other. Win A Medical Licence: Convince patients to write letters of recommendations. Collect enough letters to exchange them for a medical licence. Fully Voiced Character Dialogue: Sitcom-style comedy brought to life by a cast of over a dozen actors. Sing Along - Enjoy Renaissance-era music and sing along to each character’s theme song. Casebooks Come Alive: Simon Forman’s cases are presented as a beautiful pop-up book. Turn pages to delve deeper into your patients’ stories. Doctor of Astrology, Astronomy and Physick. Astrological guidance on matters personal, professional & medical since 1592. Medical licence pending. Lancelot Moore, son of a wealthy London family, is an accomplished wooer of ladies. His approach to courting largely relies upon a combination of good looks and terrible love sonnets. Moore seeks Doctor Forman's advice on how to manage his various romantic entanglements. Will fate forgive his crimes against women and poetry? Or will we one day find him behind a Southwark alehouse lying in a pool of blood and covered in bear excrement? Alice Blague is the wife of the Dean of Rochester. She keeps herself busy protecting the Blague family fortune from her husband and managing her extra-marital affairs with various high-ranking clergymen. After a long day, Alice likes to unwind with a flagon of wine at local alehouse, The Quiet Bear. Thomas Blague is the Dean of Rochester Cathedral. Unsatisfied with his senior position in the Church of England, Blague invests his money in risky financial schemes, which include expeditions for South American gold and Dutch flower-bulb-based currencies. Will Blague one day make his fortune? Or will he lead his family to ruin, thus incurring the wrath of his wife Alice? Astrologaster takes its inspiration from Simon Forman’s casebooks. These are part of the Casebooks Project, and the Casebooks team has acted as historical consultants for the game.